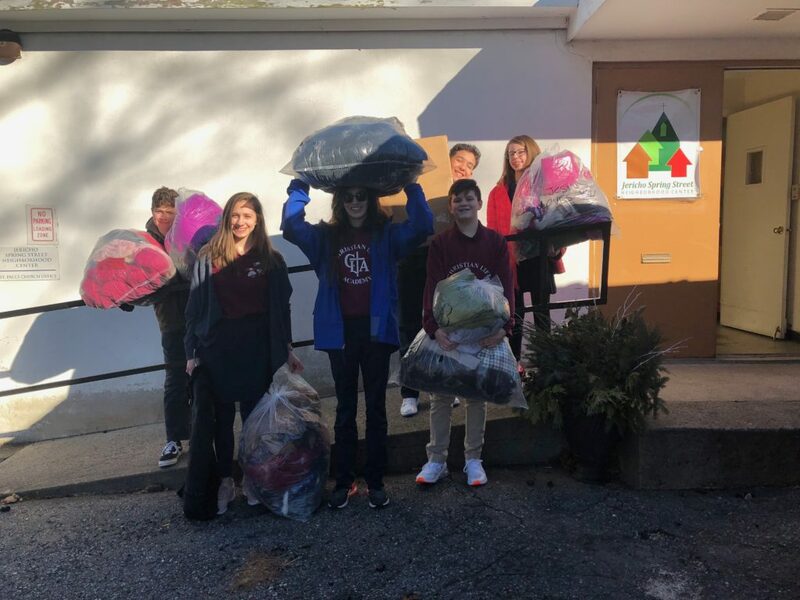 As part of their community outreach activities, our 8th Grade class spent the beginning weeks of the New Year running a coat drive! 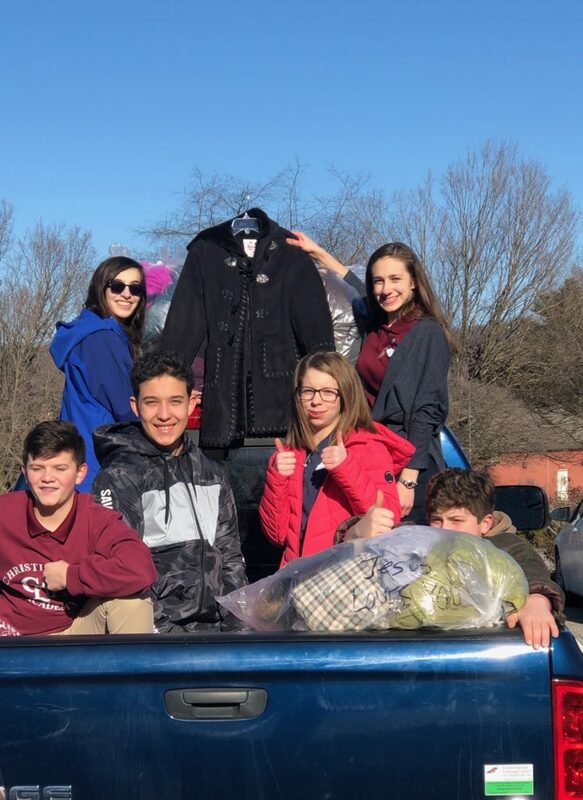 All donations of coats and jackets were given to the Jericho Partnership in Danbury, Connecticut. 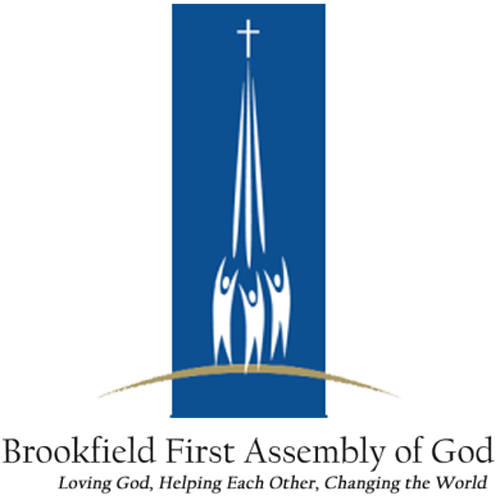 We pray that each jacket and coat is a blessing to someone in need. Thank you to everyone who participated in this drive. 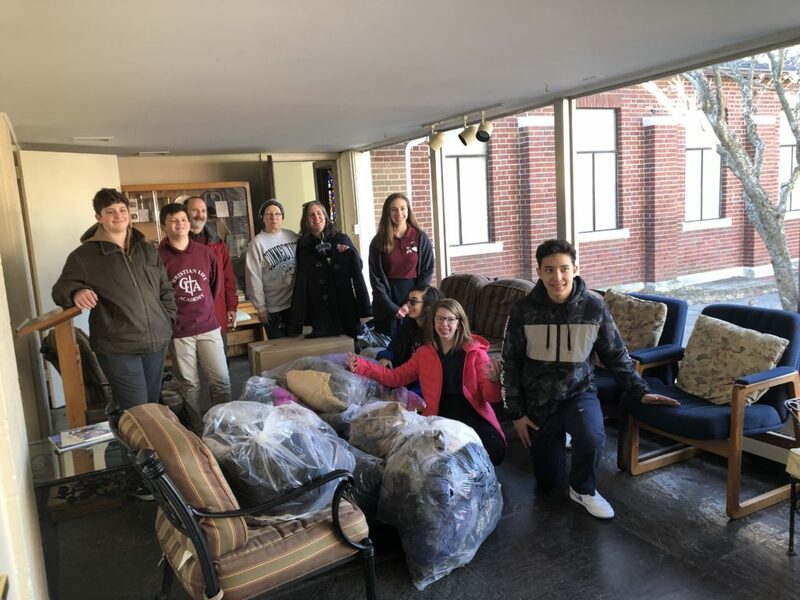 Here is a look at the field trip our 8th graders took to delivery these warm gifts.